Also Leonardo daVinci thought about the possibility of building a machine which could divide the day in equal time bins and show the progress of time. His sketch of what can be identified as verge fusee movement drawn in 1490 had been adapted from an even earlier drawing. Springs were first employed to power clocks in the 15th century, to make them smaller and portable. These early spring-driven clocks were much less accurate than weight-driven clocks. Unlike a weight on a cord, which exerts a constant force to turn the clock’s wheels, the force a spring exerts diminishes as the spring unwinds. 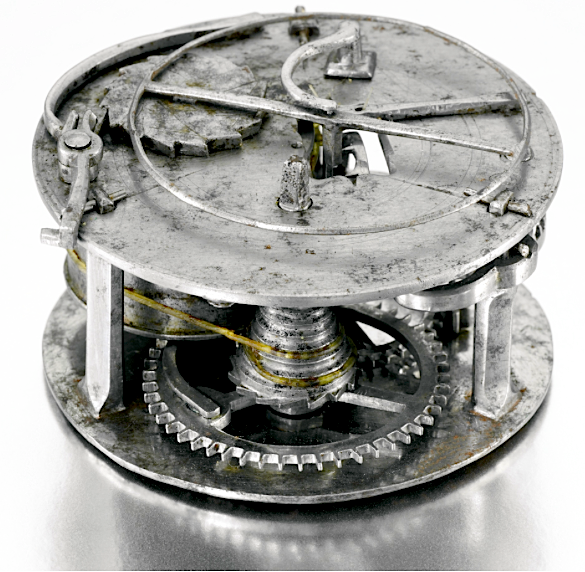 The primitive verge and foliot timekeeping mechanism, used in all early clocks, was sensitive to changes in drive force. So spring-driven clocks slowed down over time as the mainspring unwound. This problem is called lack of isochronism. It is not known where the first watches have been created. Several European towns such as Blois and Paris in France or Nuremberg and Augsburg in Germany lead the list. The earliest known examples though are made in Germany. 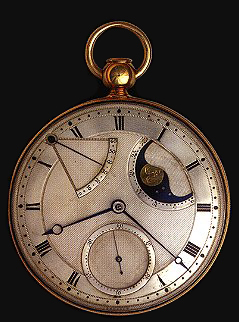 One of the earliest known creators of watches in portable sizes was Peter Henlein (1479/80 – August 1542). Not much is known about his life, just that he was free from the locksmiths guilt in 1509. He became known as a maker of small portable ornamental spring-powered brass clocks, very rare and expensive, which were fashionable among the nobility of the time. 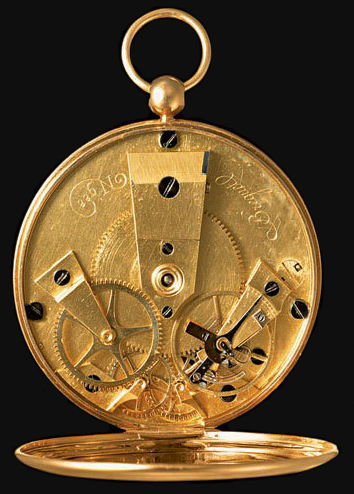 These were sometimes worn as pendants or attached to clothing, and so may be considered the first watches, although at over 10cm long they were much bigger than the first true pocketwatches which appeared about half a century later, and were not able to fit in pockets. There is no watch which can be attributed for sure to Henlein, but the earliest which is thought to be made by him dates from about 1515. As stated above, these early tambour watches were not really portable. The next generation of watches was smaller in size and spherical in shape. 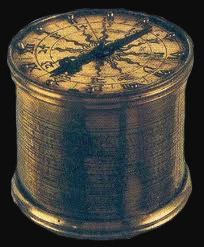 Although latter versions are thought to be table clocks their rather small size (40 – 50mm diameter) would have made it possible to carry them around. These spherical watches are also thought to come from southern Germany. Walters Art Museum, Baltimore, USA. This watch was commissioned by the great German reformer and humanist Philip Melanchthon (1497-1560). One such example is the ‘Melanchthon’s watch’ (48mm diameter). 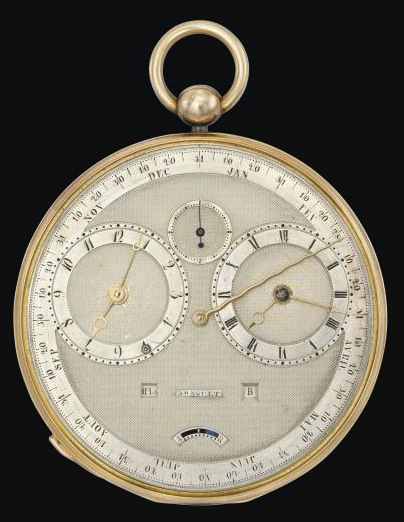 This is the earliest dated watch known. It is engraved on the bottom: “PHIL[IP]. MELA[NCHTHON]. GOTT. ALEIN. DIE. EHR[E]. 1530” (Philip Melanchthon, to God alone the glory, 1530). There are very few watches existing today that predate 1550; only two dated examples are known, this one from 1530 and another from 1548. A single winding kept it running for 12 to 16 hours, and it told time to within the nearest half hour. The perforations in the case permitted one to see the time without opening the watch. 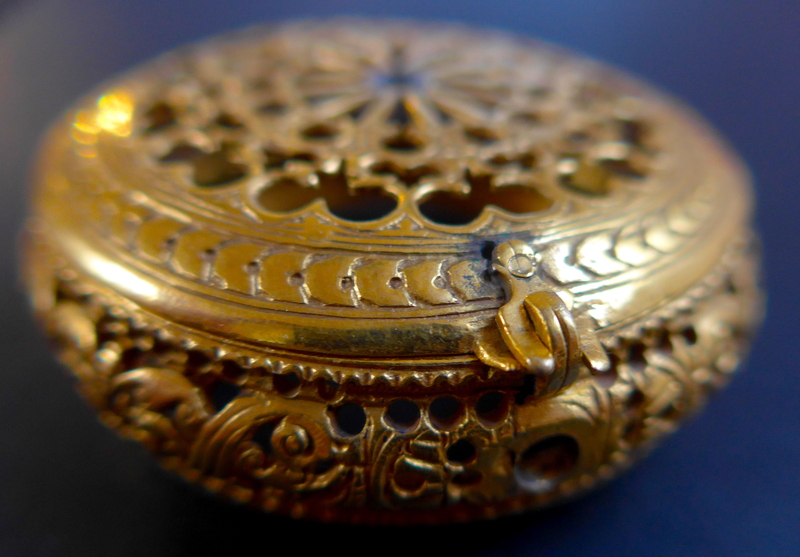 The spherical cases closely relate to the perfume pomanders which were popular in the first half of the 16th century. They would have been afforded by only the wealthiest of merchants and royalty and were worn on a belt along with a sword and dagger. In future the manufacture of portable watches in Germany will stand behind the ever growing trade in France, England and Switzerland. This fire gilt brass case (diameter: 62.7mm, hight: 24.5mm) was most probably made in Germany to house a full steel stackfreed movement. 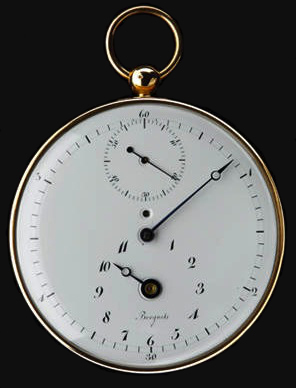 The heart shaped openings in the lid would have permitted to read the time shown by a single, blued steel hand. The hole in the central part of the lid would have been used for setting the time. There is no evidence of a bell mount inside the case, so it was most probably a simple watch with no complications such as alarm. The circular wall of the case is made of one sheet of metal welded near the hinge. The base of the case is welded and riveted with two pins onto the wall. The original loop is still present and would have accommodated a chain. The whole surface is superficially carved with geometric, celtic motives, scrolls and flowers. Iron built, early verge fusee movement for Tambour watch. The shape resembling a drum is taken from the table clocks which were slightly bigger than the first portable watches. The dials were highly engraved with geometric motives and covered a movement made entirely of iron. 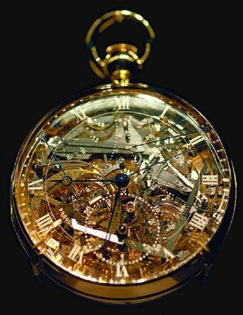 The movements of these watches have mostly the stackfreed or early verge fusee system. Later the stackfreed will be completely replaced by the more reliable verge system. These new type of watches, ‘Halsuhren’ (neckwatches) were most probably not worn around the neck but around the waist as they were extremely heavy. 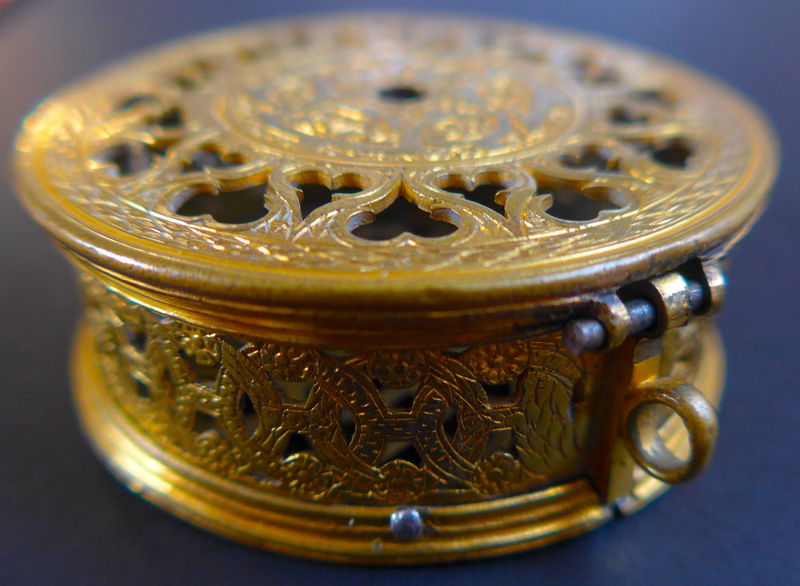 Fire gilt brass watch case (diameter: 61.5mm, hight 25.4mm). Deeper engraving as older ‘drum’ versions. The hinge more elaborate and ornate, but the biggest change would be a safety system for the lid. British Museum, London. 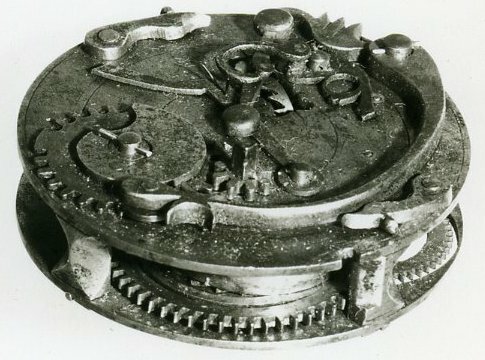 Stackfreed movement used 1550 – 1580. 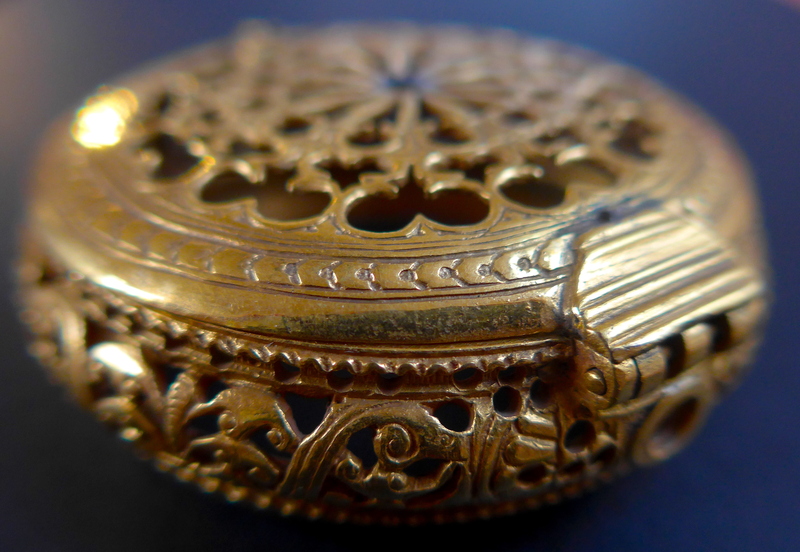 The shape of the watch cases got more rounded towards the end of the 16th century. The movements started to get flatter, so the walls of the watches got more organic in shape. The movements are still made of steel and can retain the stackfreed system. The foliot (dumbbell shaped) replaces the balance used in verge fusee systems. The lid still has the openings to show the time and the central hole for setting the single steel hand. The decoration is still highly symmetrical, but naturalistic and organic forms take over.